Welcome to my journal. This corner of our website is my opportunity to share with you items and tidbits about the school that I become aware of from time to time. Usually these things that brighten or enlighten my day are absorbed by the normal hustle and bustle of the day's events. I hope to share them with you informally so you can enjoy and be informed about some of the happenings I come across in the course of my experience with your daughters and sons. I'll sprinkle in some news and upcoming events that come across my desk as well. 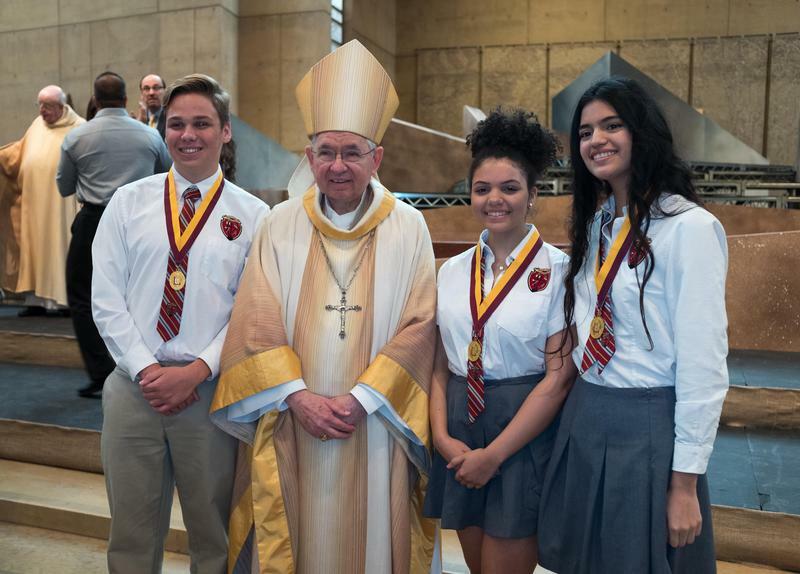 I hope you drop by here often to share some of my experiences at Bishop Alemany High School. Mason Briggs (12th) chosen as one of the 12 players for the 2018 United States Youth National Volleyball Team. Macarios Casanova ('18 Graduate) featured in Simi Acorn for receiving the National Army Four-Year ROTC Scholarship. Congratulations to Sean Blatter (12th) and Andrew Barrett (12th) who are representing Bishop Alemany High School at Boys State in Sacramento. Max Stark (10th) achieves Eagle Scout Rank.